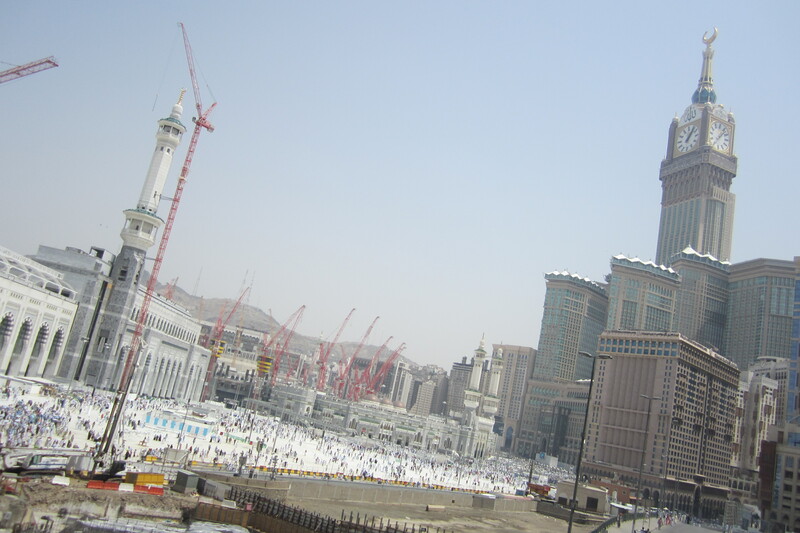 When I woke up the morning after [Umrah], I was afraid to go outside. I was afraid of the crowd. 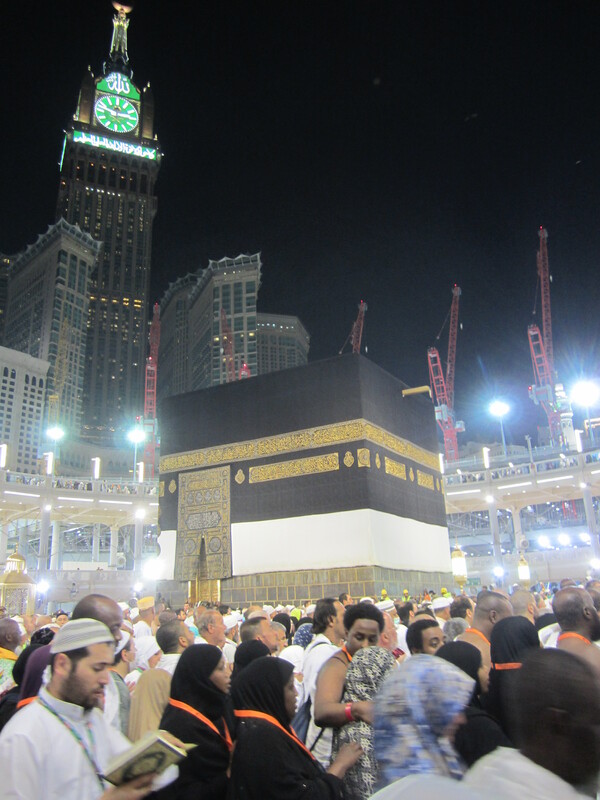 But more than that, I was afraid that I would look at the Ka’ba with an empty heart. 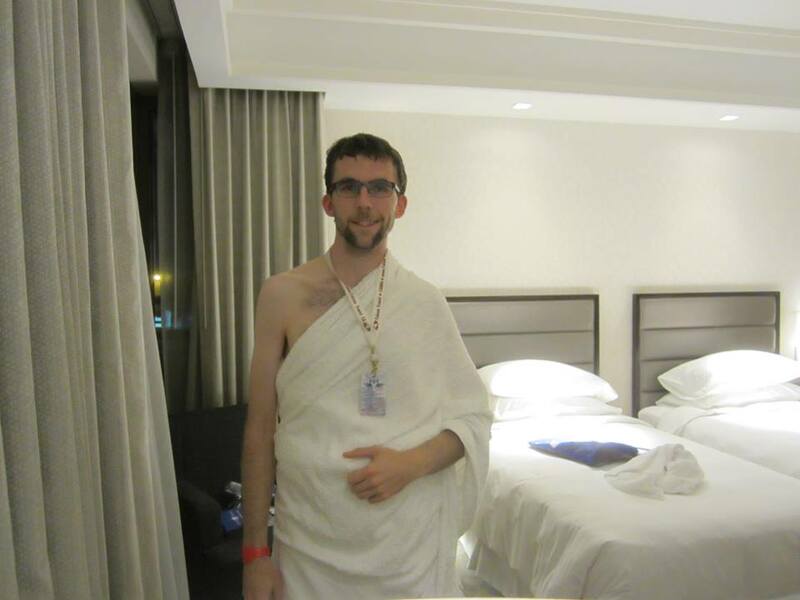 I performed Umrah last night. Our whole group did right after we got into our hotel. 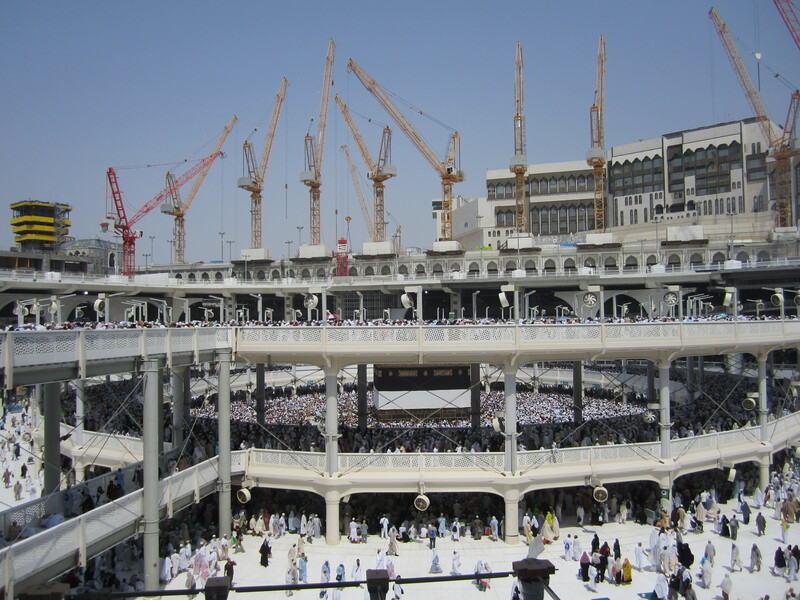 So the inevitable question: what was it like seeing the Ka’ba for the first time? So here I am. In Mecca. 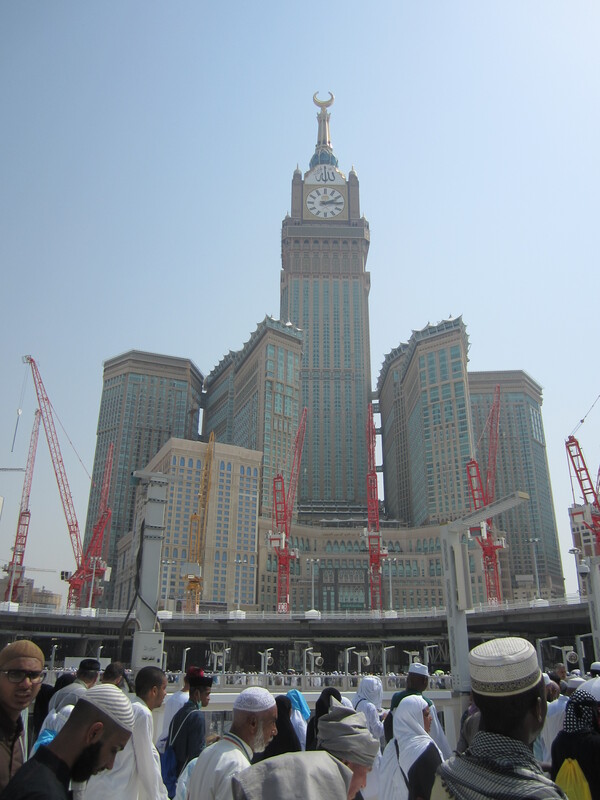 Just a few moments away from seeing the Ka’bah and doing Umrah. 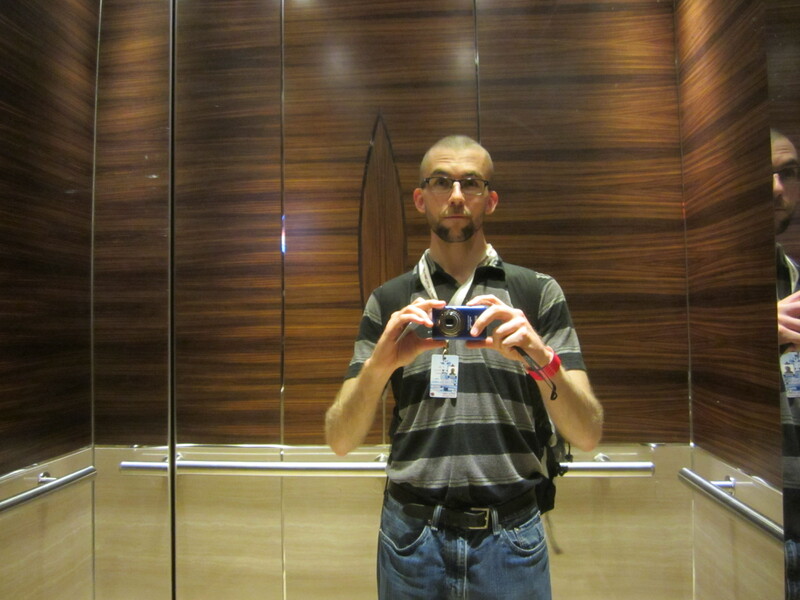 We’re staying at the Hyatt Regency Hotel. And I must say, this is probably the classiest and ritziest hotel I’ve ever been to. I don’t really know how to feel about that. Today we also put on our ihrams and are on our way to Mecca. Ihram is a dress specifically for Umra and Hajj. It consists of a single, white sheet wrapped around the waist, and another wrapped around the body. Something one of our group guides said stuck with me: “this is your shroud.” That keeps repeating in my mind. I’m wearing my shroud. A Muslim is buried in white sheets. 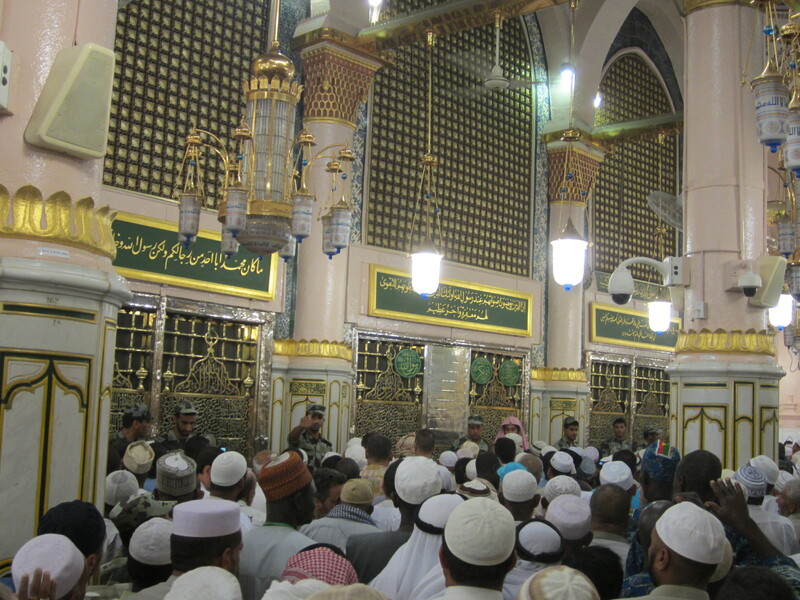 However, the end result of Hajj is, as the Prophet (p) said, is that we come out as the day we were born: free of sin. A rebirth. A new beginning. The ihram is a double reminder of both death and rebirth. We are all born, all die, and are all resurrected in the next life. The deciding factor is complying with God’s commandment. And as with every reflection about death, it’s not about getting mopey and upset; instead it is about life. How to life your life, according to God’s will. I started this day with a reminder of death. After Fajr prayer there was a janaza (funeral) prayer. 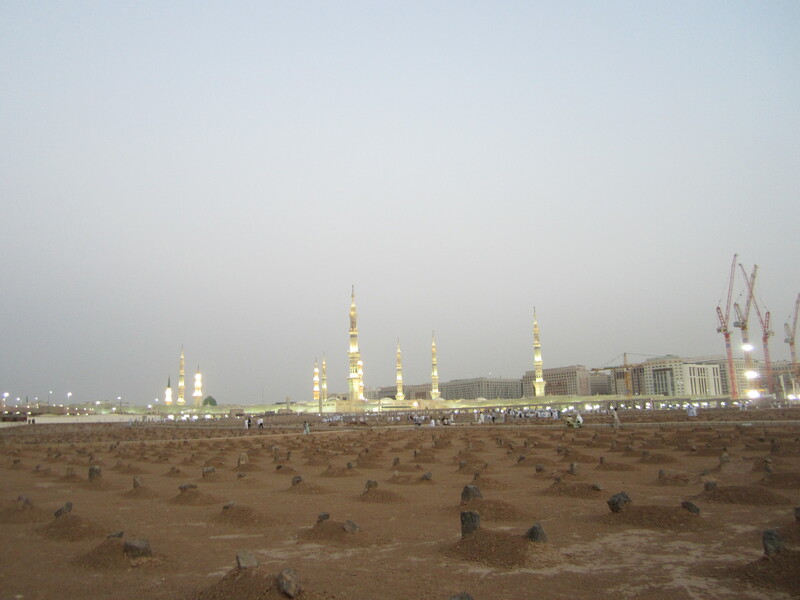 I then made my way to Baq’i, the graveyard near the Prophet’s mosque. It’s so big; you could probably fit West Edmonton Mall in it. The graves are marked by gravel mounds, with a bare rock at the head of the grave. Some graves have 2 stones, one at the head and another at the foot. I went to where the grave was dug. There’s a section of empty plots pre-dug with boards over the top. I joined the group who gathered silently to pray for the deceased. I’d never met them, and didn’t know if the person was a man or woman, adult or child… After saying my prayer, I stepped off the first mound surrounding the grave and onto a board. A man in front of me said to stop. I looked down. The board was sagging where my foot was. I literally had one foot in the grave. I stepped off and the red dust covered my feet. I looked out at the barren field of graves, at the stones marking each one. Somewhere out there, my stone is waiting for me. On my first day here I spotted another convert. He was pretty easy to spot, since his shorts and t-shirt and stubbly facial hair and white complexion were about similar to my own. Also, his backpack had the name “Joshua” written on it. And based on that alone, I assumed he was a new Muslim, perhaps sponsored to go for Hajj like some new Muslims are. Last night I actually got to talk with him. And for once I, in my khurta, felt like I as the one who became Arabized. He’s a really cool guy. He’s been Muslim almost as long as I—7 years—and is here with his wife and father-in-law. He’s planning on doing Umrah for himself first, then on behalf of his mother-in-law. His sister converted before him, and she lived in Edmonton (and I may actually have met her.) He was actually the mahram (male representative) for her wedding, and even though her parents were against [her] marriage, Josh did something amazing: he interviewed her suitor, spoke with his boss, co-workers, friends and others to get a feel for who he was. Then he took all this information and spread it out in front of his Dad. His Dad looked it over and said, “This is exactly what a father-in-law would want.” So he successfully convinced his Dad of the Islamic marriage process by actually doing the Islamic marriage process. 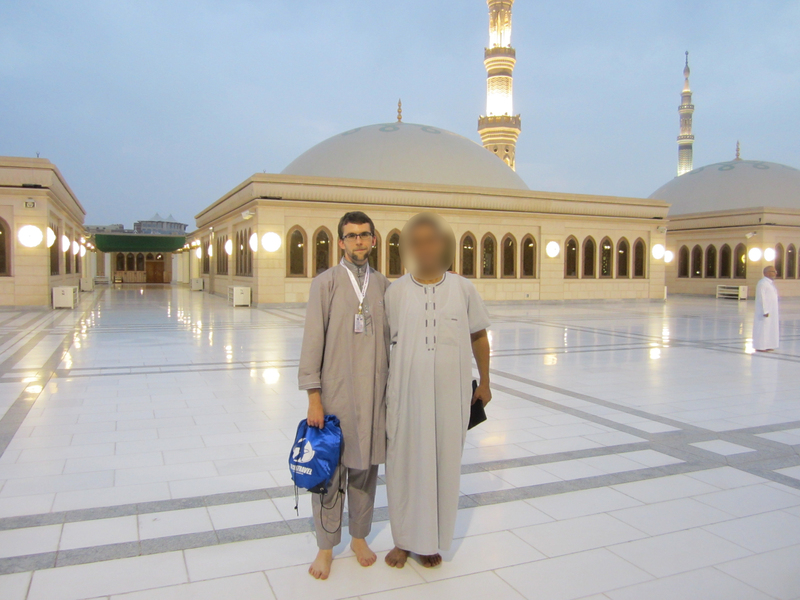 [Josh] came to Islam by studying different religions, studying the Qur’an, and writing down questions. He took his questions to an Islamic conference and [spoke with] Zakir Naik. Josh said he spent months coming up with these questions, and Zakir Naik’s responses were just bullet-quick, in his usual style… [A] few months later, [Josh] accepted [Islam]. Pretty much everything I mentioned above has humbled me. And then we parted with a smile. The city is full of these small gestures. Whether it’s a simple “salam alaikum”, sharing your prayer rug with the brother beside you, giving an orange to a poor child, or buying a brother you just met some tea.